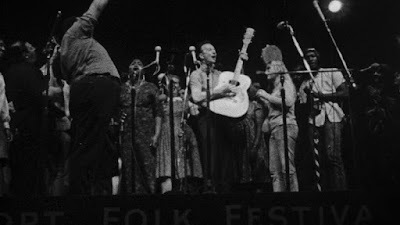 I was about to write about the Newport Folk Festival as the stuff of legend, referring to it as an entity of the past, but a quick Google search reveals that it’s still going, an annual event where fans and musicians gather to enjoy a weekend of music. This past summer’s performers included Fleet Foxes, Wilco, Michael Kiwanuka, John Prine, and many more, bridging many generations and styles. From all evidence, it looks like a big production, its scale having evolved since its more humble beginnings in 1959. 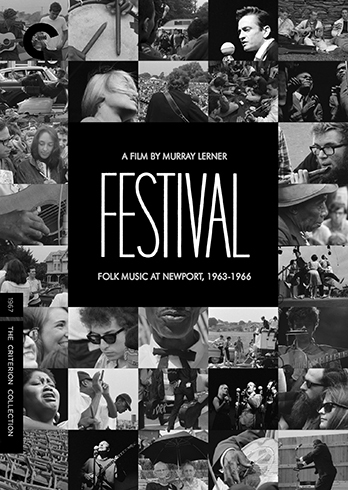 It’s certainly more of a spectacle than what we see in Murray Lerner’s documentary, Festival, a compendium of performances from Newport, spanning 1963 to 1966. The material captured in this black-and-white film shows a modest stage and modest accommodations for the attendees, with barely anything separating the two levels, the audience from the musicians. As we witness from the footage and hear from the testimonies, this is by design. At that period, folk music was considered to be the music of ordinary people. The ones on stage look just like the ones in the audience. And the audience is not excluded from performing, there are spontaneous eruptions of song all around the periphery. 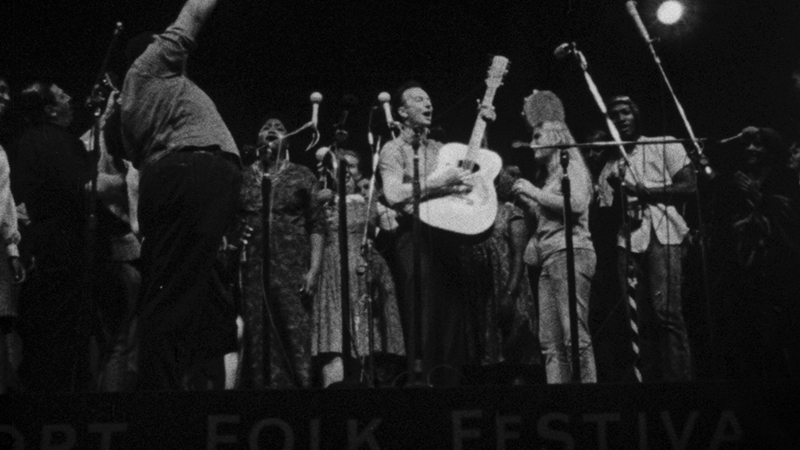 The Newport Folk Festival was a happening where everyone was intended to be equal. Not that it was entirely successful. The elevation of Joan Baez and Bob Dylan as “stars” contradicts this ethos, regardless of how much Baez tries to rationalize her own deification. Then again, they both stand apart as individuals, showing a certain style and wit not always evident in their colleagues. Dylan has the same undeniable charisma we see in Don’t Look Back [review], and Donovan still pales in comparison. Even so, the most interesting bits are not what Lerner picks up from the stage, but when he talks to the young fans and gets their takes on what folk music means and what they are seeing. Some find greater meaning and a social message, others just want to listen to music and turn off. One thing is for sure, though, white hipster kids always thought they had it figured out. Festival is less a strict reporting of what went down and more a survey of all the things the Newport Folk Festival encompassed. Lerner wants to show you the breadth of it. He mixes up different styles, creating a collage of singers and songs. Some of his arrangement is meant for effect, such as juxtaposing white and black choirs or dancing performers versus static traditionalists to show the different levels of energy and interpretation. 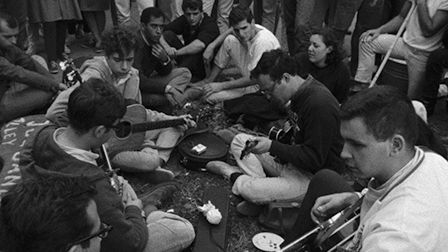 The oldest singers, many of whom were there at the roots of the craft, talk about tradition while the film cuts back and forth to Dylan doing a soundcheck for his electric debut, a scandal in the folk community. Likewise, Son House schools us on the strict parameters of the blues in direct contradiction to guitarist Mike Bloomfield’s celebration of modern expansion. There is definitely a political commentary being made here, though Lerner seems to be more on the inclusive side, highlighting the Paul Butterfield Blues Band, which Mike Bloomfield was a part of, right after. From this distance, however, Son House wins. What’s interesting, and what Lerner’s montage demonstrates, is that audiences and performers alike believe they are seeing something authentic--and Lerner’s lack of adornment only enhances that ethic. Though, again, thinking about what Son House says, you may wonder if there is a sort of ghetto tourism at work. How do some of the urbane performers and attendees connect with songs about green corn and dead geese? What life experience are they drawing on, or are they imbuing these specific narratives with their own metaphors, and thus contradicting the experience...? For its part, Festival tries to show everything. Multiple cameras move around the stage, focusing on different players--which highlights all, for the most part, though this sometimes means the film also highlights none. There are no indicators of who is who, no song titles proffered, so if you don’t recognize anyone beyond the obvious--Baez, Dylan, Judy Collins, Donovan, Johnny Cash--you may never know who you are seeing*. And the lack of complete performances means that one bleeds into the other, few have a chance to emerge, except maybe as we progress into different styles. That all said, Festival is a beautifully photographed primer of Newport, and just like if you were there--or at any music fest, really--it won’t all be to your taste. 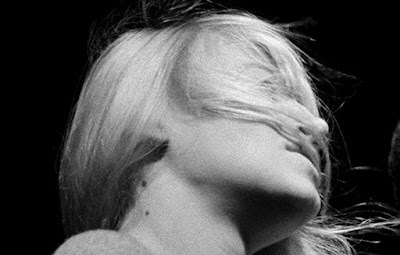 Even so, it never bores, and with this new 2K transfer and uncompressed soundtrack, Festival on Criterion looks and sounds fantastic. Two major bonus features talking to the filmmakers and performers shed light on the production, both the in-front and behind-the-camera situations, and whether you’re interested in the music or just in seeing a snapshot of an intriguing cultural convergence, Festival is well worth checking out. * I've been informed that there is a function on the disc that allows you to turn on titles, though the original release of the film did not contain them.